This book focus on one of the key strategies used in mathematical problem solving which is “Work Backwards”. 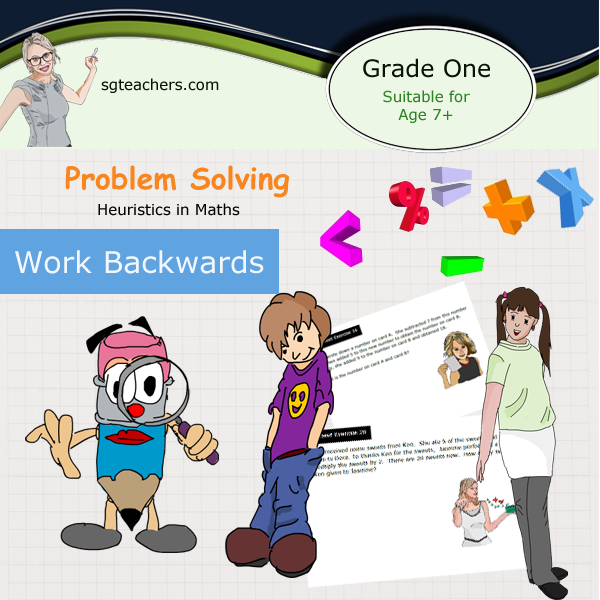 Working backward strategies recently becoming more prominent and many of the past questions in PSLE Math Examination requires the skill and knowledge of "Working Backwards". "Work backwards" approach is suitable to solve problems which do not have a "beginning". The probem usually start with a final result and student need to track the "beginning" by working backwards through steps. Student learn about using reserse operations to find the answer (which is the beginning of the situation).This It is also known as bottom-up method.